When you book a trip to The Big Island in Hawaii, you’re not looking for bare-bones accommodations. The island is home to hundreds of breathtaking views, and they have luxurious vacation rentals to match. If you’re wanting to spend some time relaxing and soaking up The Big Island’s atmosphere, here are the dream-like better alternatives to a hotel that you need to check out. 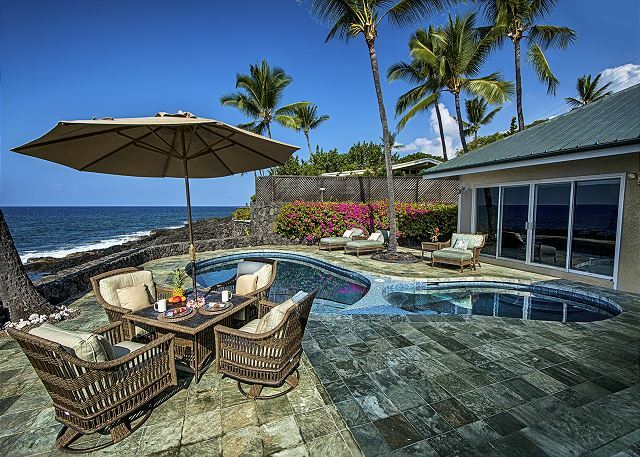 When it comes to luxury vacation rentals on Hawaii's Big Island, this mansion ranks among the best. With seven bedrooms, a high elevation, an entertainment room, three decks, and so much more, the home is undoubtedly worth its high price tag. Situated just north of Kona Hills, it’s hidden away from the bustling traffic but still provides easy access to the airport, downtown Kailua-Kona, and the many activities in the area. The home’s exceptional panoramic coastal views will make every renter sigh appreciatively, and the beautiful hardwood floors take the mansion to a whole new level. 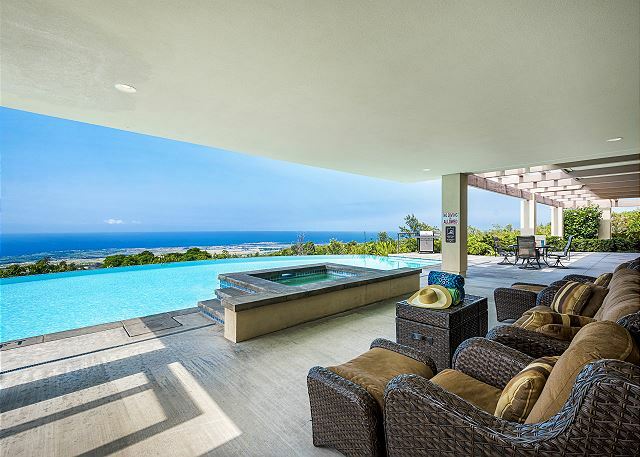 Many of the luxury vacation rentals on Hawaii's Big Island are large, but few can compare to this 5,000 square foot home. With six bedrooms, six bathrooms, and a private swimming pool and spa, you’ll feel like royalty while staying at Hale Pua. Bring a whole group of friends and family and you'll be in for the vacation of a lifetime. Spend plenty of time absorbing the picture-perfect views and sounds since you can see and hear the ocean from every room in the home. Just fifty feet away, there’s a breathtaking beach with soft sand and tide pools. What more could you want from a house in Hawaii? If you dream of watching sunsets and ocean waves from your luxury vacation rental on Hawaii's Big Island, then Helemano might be the best choice. It’s located near Kahalu’u Beach State Park where you can have close encounters with graceful green sea turtles. It’s also situated right on the ocean, so you can take in coastline views all day long. No matter where you are in the home, you can peek out the window for a memorable view. This enormous luxury rental is an architectural wonder. With a luscious garden, koi ponds, high ceilings, and state-of-the-art appliances, you and your family will want nothing else while residing in this 6,000 square foot estate. There’s even a billiard area that overlooks the gorgeous Pacific Ocean, as well as an entertainment center that’s wonderful for relaxing. 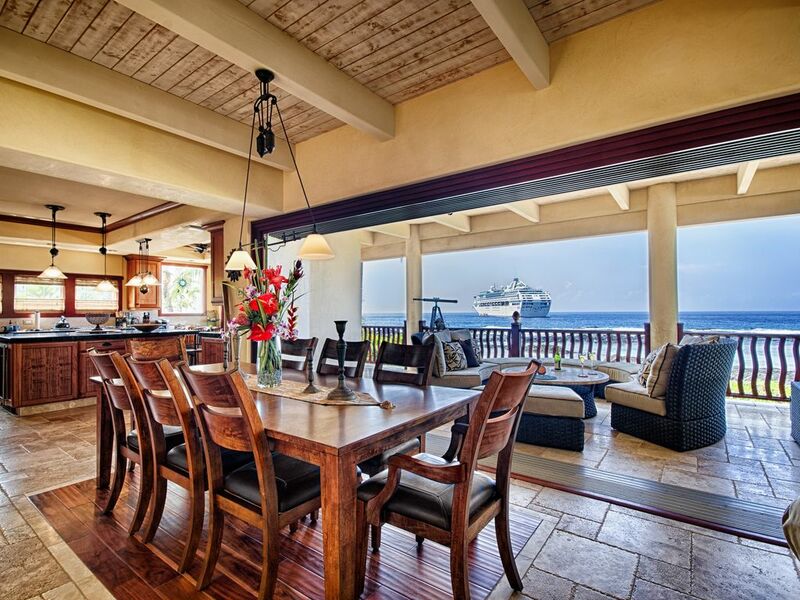 Located just two miles from Kailua-Kona pier and one mile from town, the house provides easy access to everything you might need, so your trip will sail by with everything you could ever hope for. Picture this: 4,000 square feet of a stunning oceanfront estate. Kona Bay Bliss can fit you and nine of your closest friends and family, and the secluded community will offer you a private experience with Kona. Take a stroll along the sandy beach and host a large cookout with the outdoor BBQ kitchen. With an entertainment system, instant access to the beach, and beautifully-furnished rooms, this house is a dream for vacationers of all kinds. Want to see more? 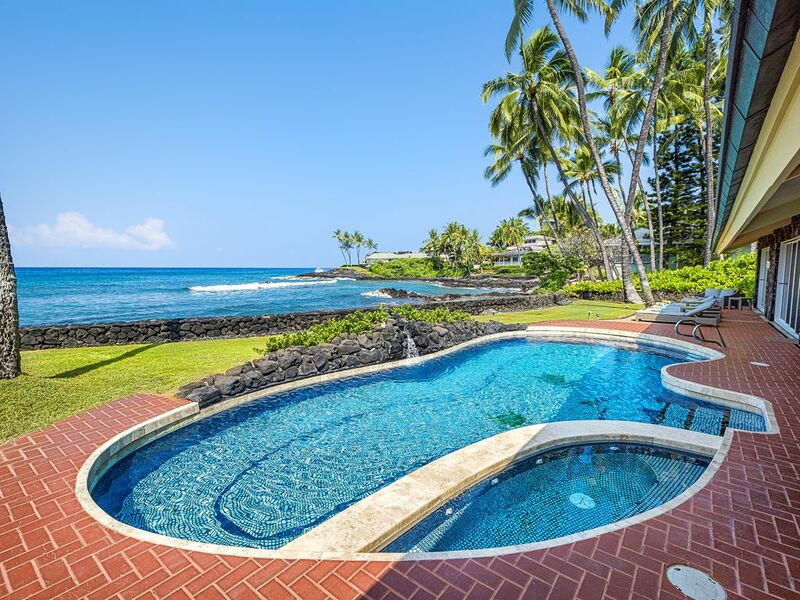 View all of the best Luxury Vacation Rentals on Hawaii's Big Island as well as more affordable rentals throughout the area. No matter what your budget or dreams may be, Boundless Hawaii has accommodations that are perfect for you.